In the 50 years since it launched in 1969, the 50p has become one of the nation’s most popular coins. Released in a range of commemorative editions, it’s often the first coin people put to one side, to start a lifelong love of collecting. 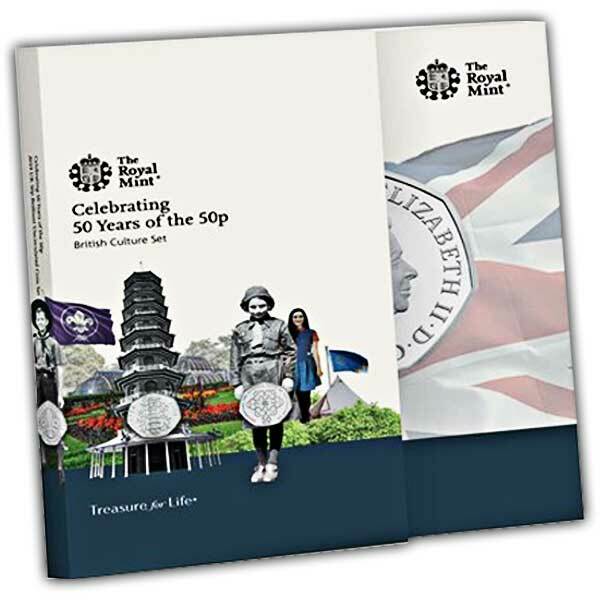 As we mark this milestone moment for the 50p, The Royal Mint is delighted to release this set containing five standout designs from the last 50 years. 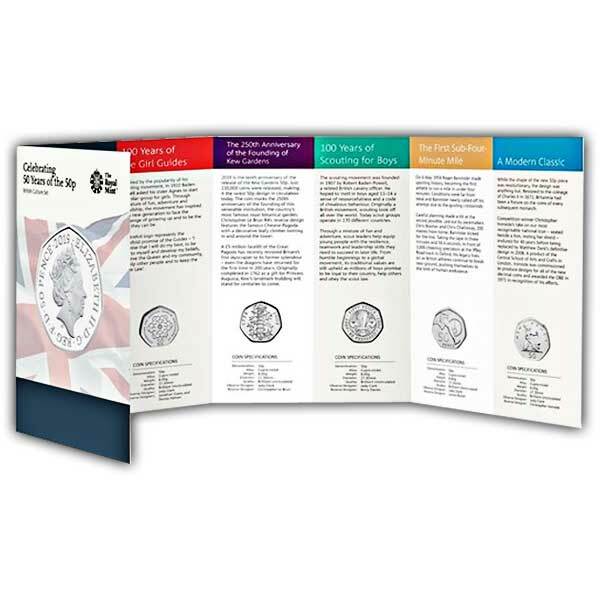 Year-dated 2019 and finished to Brilliant Uncirculated standard, superior to the coins in your change, it’s a fitting tribute to one of our most iconic coins.